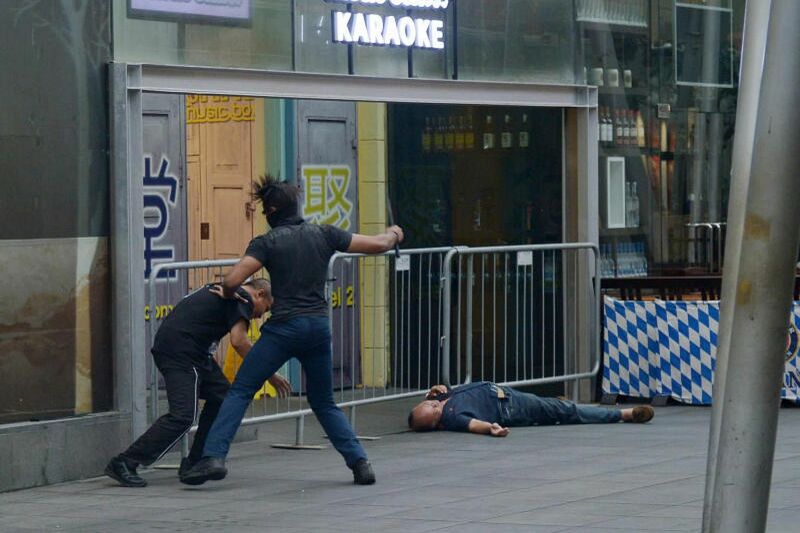 SINGAPORE - Two gunmen "opened fire" in a Clarke Quay nightclub on Friday afternoon (Nov 10), but they were swiftly brought down by police officers. 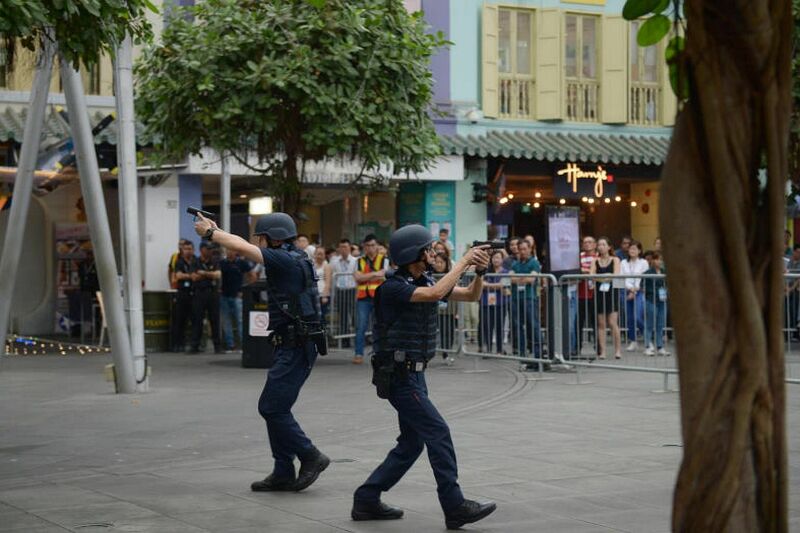 Thankfully, it was not for real: The exercise was a counter-terrorism simulation organised by the Singapore Police Force and the Ministry of Manpower (MOM). In a statement on Friday, the organisers said Exercise Heartbeat was carried out to test the response of the police, businesses and workers in the area. About 140 people took part in Friday's exercise. This year's scenario was modelled after the attack on Borough Market in London that left seven people dead and 48 injured in June. In 2016, the exercise was held at Esplanade - Theatres by the Bay in September, almost a year after a terrorist attack in Paris killed 89 people during a sold-out rock concert. 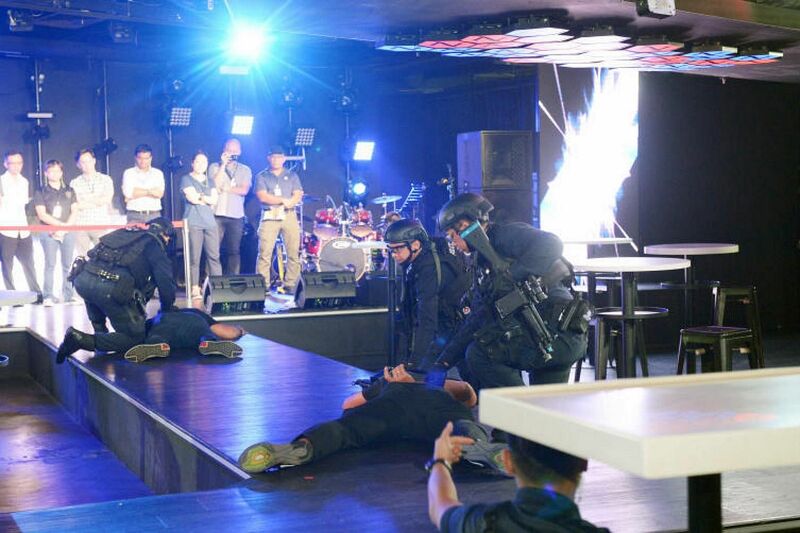 The MOM worked with CapitaLand Mall Asia, which manages the Clarke Quay area, to build up businesses' reactions towards terrorism as part of its SGSecure at Workplaces programme. Second Minister for Manpower and Home Affairs Josephine Teo said that the response of the building management and the tenants will make a critical difference when a terrorist attack occurs at the workplace.